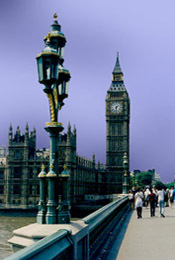 LONDON....This city is one of my favorite destinations on the planet...It may be outrageously expensive, but there is so much to do and explore... And, my favorite thing to do in London is attend almost anything showing in the Westend Theater... (Considering the unbelievable prices of movie tickets, paying extra for the theater is well worth it. ) Like most things you do when you travel, there are lessons to learn... 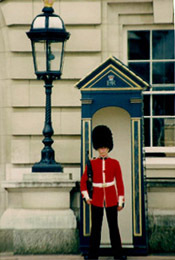 In Leicester Square there are several so-called discount ticket locations... Avoid them like the plague because they will rip you off... At the official ticket office located in the square, you can buy half price tickets the day of the show and get a good seat... But, GO EARLY in the morning before the selection is depleted. Some theaters even sell discount tickets for those who arrive early enough in the morning. Sales start at 10:00 AM but come well before that with a book. The tubes are so convenient and easy to navigate... However, if you decide to walk central London, you'd be surprised how conveniently located the major sites are to each other... On my first trip to London, when I came up from the tubes, I was right at the base of Big Ben... A definite moment to remember!..From there walk on to Tower Bridge, Buckingham Palace, the House of Parliament, Piccadilly Circus (complete with punks), the National Gallery, and 10 Downing Street. Too far to walk but important to see are Greenwich Observatory (where you can straddle the Prime Meridian) and the British Museum (to see the Rosetta Stone, among other treasures)... And, it a trip to the Globe Theater is such a great experience... However, this list could go on and on so get yourself a Lonely Planet before hitting the streets. Now, more needed advice...Some people don't bat an eye at paying enormous sums of money to stay in hotels...And, London hotels are rarely economical...However, I see a hotel as a place to sleep...I don't need luxury...I need clean and safe...So, with an internet search, you can find good deals...Be prepared...And, if you save a few pounds, you can get yourself a plate of fish and chips or run down to the corner pub for a pint or two. 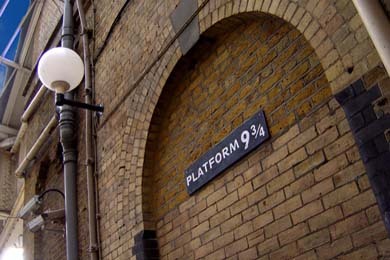 Hidden away around a corner at King's Cross train station, is platform 9 3/4. As I read the Harry Potter books, I always wondered how people could use that platform and not be spotted by the Muggles. Well, it really is located in an isolated little back corner of the station. And in case you get lost, there is now a sign to help you find your way.